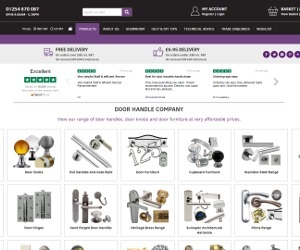 If you have a specific requirement for a door handle then the Door Handle Company should be your first stop as they stock a wide selection of door handles, door knobs and door furniture. They are specialists in Door Handles so there range is vast and their prices are competitive. Door Handles come in two fundamental ways, external and internal, Door Handle Company offer both, so your requirement might be practical or decorative, whatever the job they should a door handle to fit the bill.